See the world from the top of Western Brook Pond fjord. Set foot on the mantle of the earth at the Tablelands. Learn more about Gros Morne National Park. Visit BonTours for ways to experience Western Brook Pond fjord. Check out the interpretive two-hour boat tour. Learn more about this guided hike. Learn about the unique geology of this place. The Discovery Centre can help you plan your trip to the Tablelands. Learn more about the Tablelands and Gros Morne National Park. Explore this place with Gros Morne Adventures. Set foot on rocks nearly half a billion years old. The annual Writers at Woody Point Festival is a wonderful mix of music and literature. Meet accomplished musician, folk artist, and community leader, Charlie Payne. Learn about tuckamore and other plant life in Gros Morne National Park. Explore Broom Point and the Mudge family fishing premises. Find and reserve your ideal campsite. Take in a show at the Gros Morne Theatre Festival. Visit the Mudge family fishing premises. Explore Western Brook Pond fjord. Learn more about the colourful history of Newfoundland and Labrador. Learn about the Mudge family and other historical residents. Make your own toutons with NL Rock Recipes. Learn about other cultural experiences in Newfoundland and Labrador. Read about the colourful history of Newfoundland and Labrador. 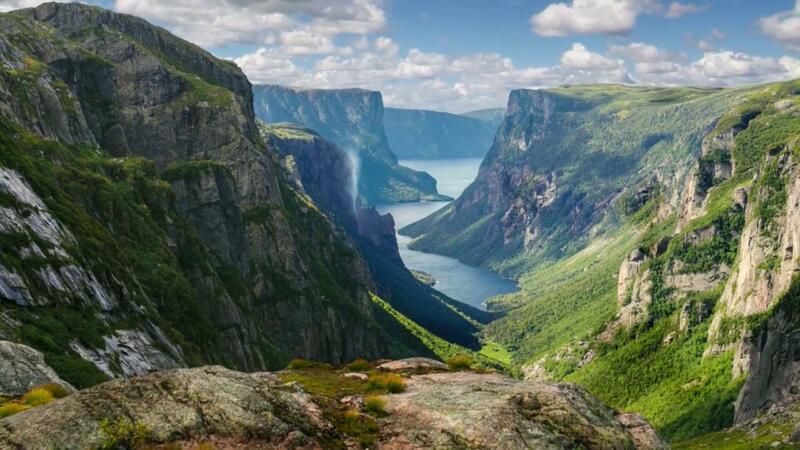 Find out more about Gros Morne National Park. Check out Theatre Newfoundland and Labrador. Explore the picturesque town of Woody Point. Journey to the top of the Western Brook Pond fjord. Explore Broom Point and get your hands dirty. Around here, camping is just another word for freedom. Learn more about the Hunky Dory. Learn more about local shopping and our unique arts and crafts. Enjoy an eclectic mix of music at the Gros Morne Summer Music Festival.